Combining traditional charm with the benefits of modern comfort and convenience, our handmade kitchens include styles such as Victorian, Edwardian, Georgian, Federal, Regency, Italianate, Early American and Neoclassical. Our bespoke kitchen furniture can be handcrafted in a variety of traditional styles, materials and detailing. Expect to see ornate molding and trims; elegant cabinets in real woods – cherry, walnut and mahogany; antique fixtures and vintage appliances. Traditional-style cabinets with profiled doors and ornate mouldings are brought to life when adorned with decorative, old-world style handles. Clever features such as larder units with spice racks on doors, pull out compartments for gadgets and food processors ensure everything has a place and modern, everyday appliances are hidden within working areas. Throughout the kitchen design stage, we’ll pay particular attention to your requirements, ensuring that the final traditional handmade kitchen creation is aesthetically pleasing, whilst providing complete functionality and ergonomic use within the space available. Please browse our gallery and read about the projects we have completed. 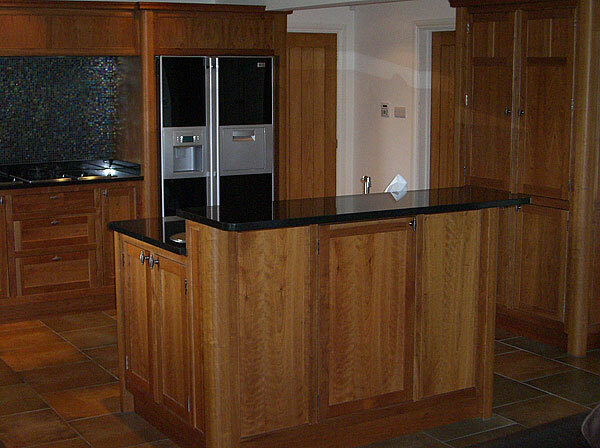 Contact us now to discuss your traditional handmade kitchens and we will be delighted to help.